The chercher - first pages. . HD Wallpaper and background images in the Avatar le dernier maître de l’air club tagged: avatar the last airbender aang sokka katara zuko azula. Lol. Seriously, I really want the book to come out already! Come, I couldn't wait for Azula! 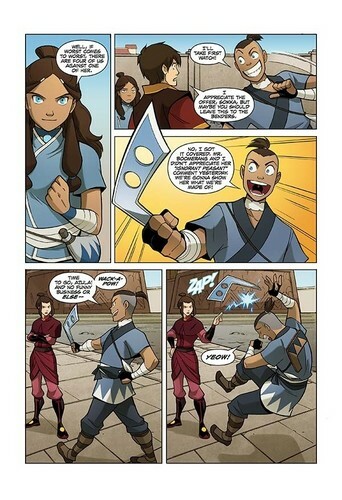 Oh my gosh I love Azula so much here, she's feisty and has a sense of humor. And that bored expression she has lol. read atla comic book full free " Avatar l’amour potion #8 "